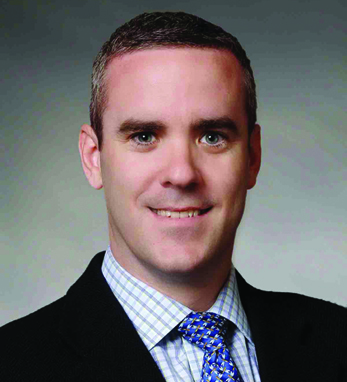 Conor Murphy is executive vice president and chief operating officer at Brighthouse Financial, a $220 billion start-up recently established by MetLife that is already one of the largest U.S. life insurance companies. Previously, Conor was senior vice president at MetLife, where he held several leadership positions including LatAm CFO, head of International Strategy and M&A, head of investor relations and Investments CFO. He previously spent seven years with PwC in New York and five years with Grant Thornton in Dublin. He is a founding trustee of Cristo Rey New York High School in Harlem and has been a proud sponsor of the school’s work-internship program for over 10 years. He is a past president of the Association of Chartered Accountants in the U.S., a member of the Massachusetts Society of CPAs and a fellow of the Institute of Chartered Accountants in Ireland. Conor is a native of Donegal, where the third and fourth generations of Murphys run the family store, Murphy of Ireland, which is now in its 79th year exporting the finest Donegal products to the rest of the world. Conor and his wife, Ani, have two sons, Jack and Aidan, and have recently moved to Charlotte, North Carolina.